White Paper Plates - 7"
White Paper Plates - 8 5/8"
Red White And Blue American Flag Paper Plates - 7"
…is exactly what you are looking for and is priced just right for you to invite over as many guests as you want. 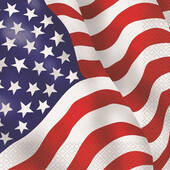 Whether you are looking for 10 plates or 10,000 patriotic plates you have come to the right place. 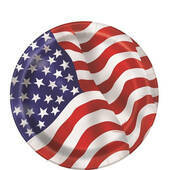 the 7" American flag plate works great as a dessert plate or as an appetizer plate. Card Suit Paper Plates - 8 5/8"
Music Notes Cake Plates - 7"
…what you are looking for and is priced just right for you to invite over as many guests as you want. 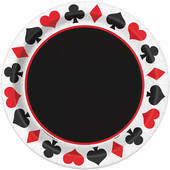 Whether you are looking for 10 plates or 10,000 patriotic plates you have come to the right place. 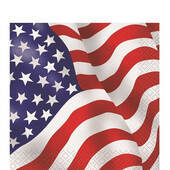 The American flag beverage napkin works great as a disposable coaster or as a dessert napkin.